So far, March has been mostly a wet and cold month in Staten Island. Temperatures are taking a slight upturn, but it still feels as if summer is a long ways off. However, March is a tricky month. A deceptive month. This is a time when the shifts in weather put serious stress on the heating and cooling systems of a home. 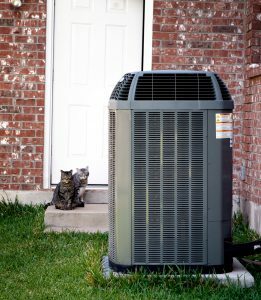 For the heating system, the problem is that it’s already gone through a massive workload during the winter and may not be in the best shape at the end of the season. For the cooling system, the problem is that it may not be prepared yet to tackle heat waves. In both cases, a house faces a possibility of losing either its heating or cooling at critical times.